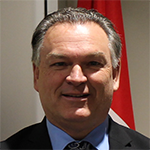 Rick Brassard has been a member of the Board of Trustees of the NCDSB since 2006 and has served as Chair of the Board since being elected by his peers in December of 2007. Prior to serving on the board, Rick enjoyed a career spanning three decades as a teacher and long-time principal with the Northeastern Catholic District School Board and its predecessor boards. During the past four decades, Rick has been actively involved in his local community as well as at the district and provincial levels. In the early 1990's, Rick was appointed to the Nipissing-Timiskaming District Health Council where he served as Vice Chair for five years and then Chair for one year. In 1998, he was appointed by the Minister of Health to the Ontario College of Physicians and Surgeons where he served as a public member until 2004. In 2000, Rick was elected Mayor of The Town of Englehart where he served one term. Rick is a long-time member of the Englehart Rotary Club and a founding member of the Knights of Columbus Council 10041. Elizabeth King has been a member of the Board of Trustees of the Northeastern Catholic District School Board since 2003 and has been elected by her peers to serve as Vice-Chair of the Board at various times. Elizabeth is very active within her community of Iroquois Falls, serving as Past President and currently Vice-President of the Chamber of Commerce, Chair of Earl Porter Lanes, lector at St. Anne's Church, previously sat on the Board of Directors for the Community Development Team in Iroquois Falls, and was involved with Guiding and the Iroquois Falls Winter Carnival. 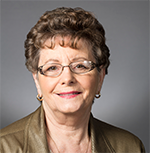 Elizabeth retired as a Realtor where she worked in her community since 1991 and now enjoys spending more time with her grandchildren and family and in doing her volunteer work, giving back to the community who supported her in business for so many years. Now retired, Glenn Sheculski has formally worked in Catholic education for 33 years. 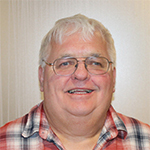 Glenn has been with the Northeastern Catholic District School Board for a total of 29 years as a Teacher, School and Program Principal, and finally Director of Education, beginning in July of 2009. 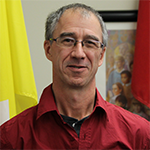 Glenn spent two years at the beginning of his career teaching for the Fort McMurray Roman Catholic Separate School District and two years as a Superintendent of Education at Waterloo Catholic District School Board. At the provincial level, Glenn was a member of the Executives for the English Catholic Council of Directors of Education (ECCODE) and the Council of Directors of Education (CODE) for two years. As well, Glenn sat on the Ministry of Education and Trustees committee at the last round of central bargaining with the Canadian Union of Public Employees -Education Workers (CUPE). Upon retirement, Glenn decided to put forth his name forward to run as a school board Trustee for the Northeastern Catholic District School Board. Martin Drainville has been a member of the board since 2004. I have been involved in the automotive business for over 32 years, 8 years in the Mining sector, have been a Manager at a local car dealership for 23 years. I was part of the Centennial committee for the town of Haileybury in 2004. I am part of the New Bikers Reunion for 9 years which raises funds for local cancer care, part of the group Quality Time which helped raise funds for Camp Quality Northern for 11 years. I donate time and sound equipment for the local groups like Small Pond and Literacy Group. I am also part of the Artem organizing committee which organizes cultural events in our area and part of Coutryfest which helps to fund our local Catscan Committee to cover some of the operating costs for the Temiskaming Hospital Catscan. 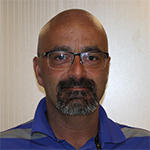 Fred Salvador has been a member of the Board of Trustees of the NCDSB since 2006 and has served as Vice-Chair of the Board since being elected by his peers in December of 2012 until December 2015. Fred currently is employed by the City of Timmins as Facilities Supervisor since 2003. During the past 25 years, Fred has been actively involved in his local community as a long time hockey and soccer coach, and President of the Local Soccer Clinic for over 6 years. Fred currently has 2 children who attend schools within the NCDSB network of schools. 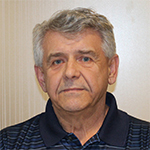 Denis Lincez has been a member of the Board of Trustees of the NCDSB since 2006 and has served as Chair of the Audit Committee and various other standing committees. 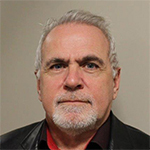 Denis has worked for the past 31 years at Rayoneir.am - Kapuskasing division in various position with current being Technical Advisor- Steam and Effluent. 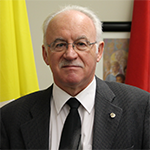 During the past 2 decades, Denis has been actively involved in his local community with volunteer work - Vice president of Kapuskasing Minor soccer association and coaching, Past president of Saint Patrick' separate school PTA - Past Grand and Deputy- Grand Knight of Knights of Columbus Council 8430. A graduate of O'Gorman High School Timmins in 1963, where I was involved in the school council, choir, basketball team, track team, volleyball team and cheerleading squad. I entered St. Mary's School of Nursing in 1963 and graduated in 1966. This was a Catholic school of nursing run by the Sisters of the Assumption. My goal in entering the nursing profession was to help people. I have been involved in nursing for 51 years in many different capacities and I love my chosen profession. My Catholic education provided me a sound basis for this career choice. My goal in life is to reduce risk to patients in Canada through education and to ensure all students receive the same level of opportunities for education. Profession: A Registered Nurse running my own consulting firm "Landers Consulting" since 2000 providing education, policy writing, auditing and design consulting. A former employee of Timmins & District Hospital from 1967 to 2001. Family Life: I have been married for 54 years to Michael Landers. I am the proud mother to three lovely children: Shelley McGee, Lisa Gazzola and David Landers. I am Nana/grandmother to 6 beautiful grandchildren, Tyler & Trevor McGee, Michaela & Keeley Landers and Aaron & Ava Gazzola. In my spare time, I love to read, walk, do crafts and volunteer my time. Trustee for North Eastern Catholic for 31 years and have served as Chair and Vice Chair. A member of the SEAC committee, Policy Committee, Joint Transportation and former chair of the Catholic Faith committee, and a member of Catholic School Council of O'Gorman High School. 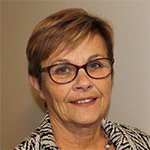 Trustee Provincial Involvement: Ontario Catholic School Association Director at present and for 18 years representing Region 1 of OCSTA which includes Sudbury Catholic, Nippissing Parry Sound Catholic, Huron Superior Catholic and North Eastern Catholic. I Chaired the Conference committee for 7 years, sit on the Budget/Financial Committee and Political and Legislative committee. Trustee National Involvement: Canadian Catholic School Trustee Association Director for Ontario for 10 years. 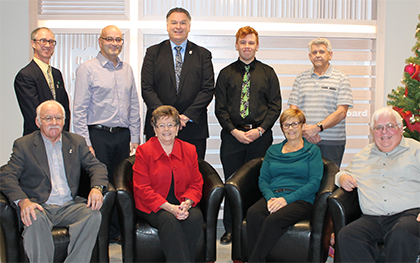 Trustee Education: Received certificates for completing the following: 13 required Provincial Trustee education Modules, and for completing a Laurentian university OCSTA course, a. Yearly complete a minimum of 5 days of education sessions. I am active in my parish, St Anthony of Padua, as a cantor, Eucharistic minister, lecturer, CWL member and a member of the church choir. I further assist with bringing communion to elderly shut-ins. I am also a Past President of the CWL. I have been involved in Kidsport Timmins & Sports for Kids Timmins since 2000. I serve as President of Sports for Kids Timmins, a local charity. This organization raises funds to enable under privileged children to participate in sport in Timmins. Ministry Appointed Member of the College of Teachers January 2016 for a three year term. Medical Device Reprocessing Association of Ontario: THETA Chapter Treasurer and an education coordinator for the northeastern region. Former provincial executive member and Past President. An author of a Medical device Reprocessing Textbook that is being used nationally in colleges and courses being offered for students' performing medical devices reprocessing of medical devices. A member of the Canadian Standards Technical Committee for Health Care for Medical Devices and Perioperative Services as a volunteer writing Canadian Standards for Healthcare for the last 20 years. Accreditation Canada National Surveyor for healthcare facilities from 2012-2017. Steve is retired from a 34 year career with Northern College. Ron was born into a large Catholic family in Noranda Quebec. He attended St.Anne's Catholic high school in Noranda. He later attended The University of Minnesota, Bemidji. Ron worked as a Flotation Operator at Northern Sun Mining in Timmins Ontario. He presently a Trustee with Northeastern Catholic District School Board, previously a Trustee with Superior North Catholic District School Board. He is married to his wife Peggy, who has two daughters, Frances is a graduate of O'Gorman High School, As well as Algoma University , Bridget also graduated from O'Gorman High and now attends Trent University.